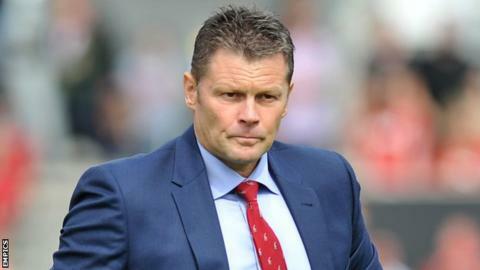 Bristol City manager Steve Cotterill says their current poor form will help make his team stronger. The Robins have lost five of their seven matches this season and lie 21st in the Championship table. "What we've got in our dressing room, from myself down, are winners," Cotterill told BBC Radio Bristol. "This hardship that we're going through at this moment in time will probably make us stronger as a group and the results will come." Despite taking just four points from a possible 18 in the league this season, Cotterill hailed the transition in the club's fortunes since he arrived at Ashton Gate. "We weren't a solid team in League One when I came here, we were not quite bottom but I managed to take us bottom after my first game," Cotterill added. "The speed at which we've travelled at to get where we are today is quite phenomenal really. It takes a lot of hard work to get where we are but we know that we've got to get up that table. "They need to have the belief in themselves that I have in them, but that's easy for me to say and it's not so easy for them to believe while they are out there."